Today is January 27, 2019, and it has been six months since the 7.27 arrest. 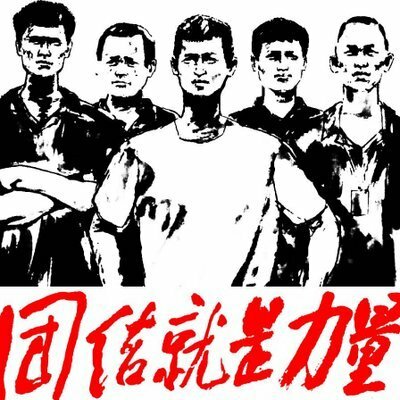 On July 27, 2018, the Guangdong police violently arrested 29 members of the association and solidarity workers. So far, nearly 50 enlightened workers and progressive students have been trapped. Half a year later, the struggle between the Jasic Workers' Support Group and the evil forces has never stopped. I am a student who has participated in the support group. In the past six months, in addition to fighting for the freedom of comrades, I often recall the excellent qualities of them. I still remember I have read the articles written by Yu Juncong and Huang lanfeng, knowing why he had to resist forced walking at the time: "The only way for the workers is to be no longer indifferent, no longer silent, and no longer selfish. It can not be disregard, because workers are a vulnerable group, only to work hard, only unite and rebel, only united like a person, can make our lives, future, and loved ones have a happy and beautiful future!" For the first time I have appreciated, why the Marxism-Leninism-Maoism is the workers' doctrine. For the first time I have experienced, how brave and how fearless the workers armed with Marxism-Leninism-Maoism are. "No more selfish and egoistic, and to stand together as one." Juncong has fulfilled his words. He pledged his freedom for the right of his worker brothers and sisters. I have met Zhan Zhenzhen for more than 1 year. He is also a member of the Support Group and my comrade in arm. For the first time he touched me to cry, when he, celebrating the anniversary of Mao's birthday in Shaoshan, shouted the words from the bottom of his heart: "There are 280 millions migrant workers, 60 millions left-behind children, 6 millions people with pneumoconiosis in China. Who of them aren't the same as my mother?" But he was arrested and expelled from Peking University only for the celebration of Mao's birthday. When he investigating, he "used to sleep for three or four hours for several days, such a tall man would occasionally be tired and fall asleep on the desk in the classroom." Now he was arrested with four Jasic workers, Zhiwei and Lanfeng, and dropped out of Peking University. But was he ever regret? If so, how can he say "Repression! Let them repress for ten more years, then the people will awake. The workers are not afraid of death. How could they afraid of repression?" As Zhang Ziwei said, "The arrest and the dropout don't make me fright, the Red Flag will wave everywhere!" Our old comrade Ning Ding is also touching. Comrade Ning Ding is a veteran who has insisted on leading veterans and workers to defend their legitimate rights and interests for more than a decade. After learning about the struggle of the Jasic workers and the support group, comrade Ning Ding took the initiative to come to support the struggle of the workers and students. According to himself, he went to the support group with the determination to die there and wanted to be site-cleared with the front-line comrades. After the intelligence of the site-clearing was released in 23 Aug, comrade Ning Ding insisted on staying and drove many old comrades to stay. They truly dedicated themself to the cause of the liberation of the working class, not for the slightest self-interest. Their fighting spirit and dedication will enable more and more people who do not want to endure oppression to unite under the banner of the support group and fight for the rights of workers. With one week to go until the Spring Festival in 2019, how we hope that our coworkers and comrades who are in prisonand will be released without charge and go home for the Spring Festival! However, both history and reality have proved that only through unyielding struggle can justice be revealed and the proletariat be truly free and liberated.